Pat Kearney, Area Manager of Bell Aliant presents a donation of $500 to Committee members, Maxine Smith and Carol Walsh. The contribution is to assist us in enhancing their utility unit which is located within the park. The objective is to improve the appearance of the outside of the unit with a graphic design that will illustrate Gander’s aviation history making it more attractive while blending in with the rest of the Park. 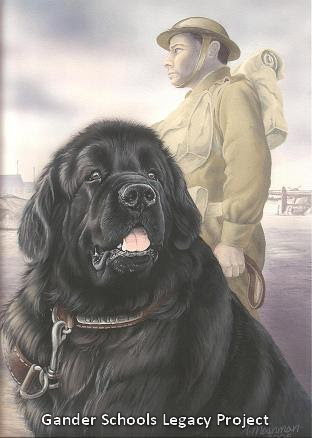 Our sincere thanks to Bell Aliant for their approval of this project and their donation to make it possible. 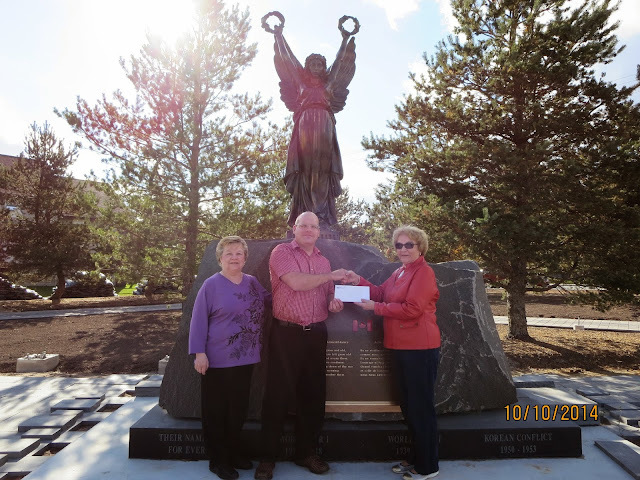 October 10 2014 ... Pat Kearney, Area Manager of Bell Aliant presents a donation of $500 to Committee members, Maxine Smith (L) and Carol Walsh (R). We are very fortunate to have a local graphic artist currently working on the designs for the Bell Aliant utility unit. The next pictures you will see of this box will amaze you! Watch for it in early spring when the weather is more suitable. 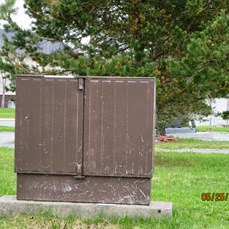 Bell Aliant utility box to be updated with a graphic design. We now have an updated Donations page and an updated Donations Progress Bar with an updated Ticker on the right. As of October 19 2014 we have achieved 78.5% of our target which amounts to $423,973 of our target total of $540,000. Thank you to all who have donated your time or financial aid ... much appreciated! The progress bar now depicts the percentage based on the new budget target. On the Donations page I updated sections Small Business Donors, Individual Donors and Plaza Stones Purchases!